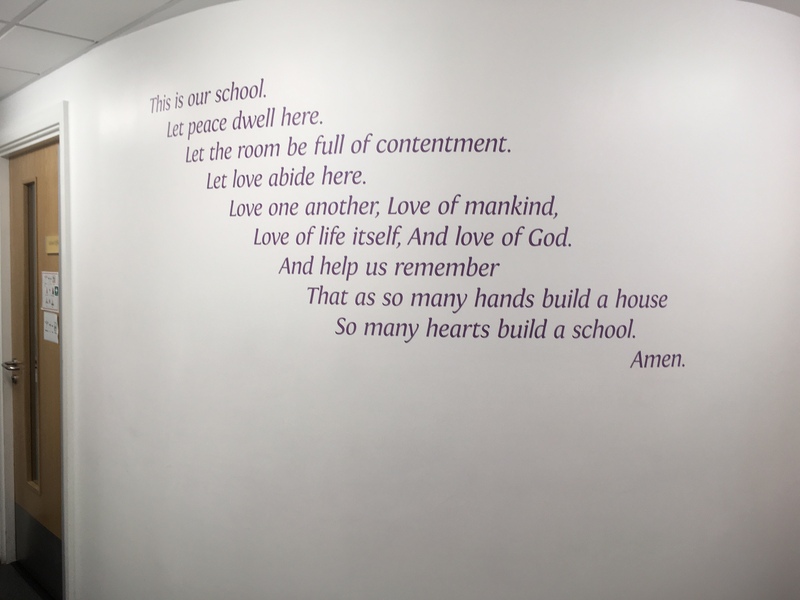 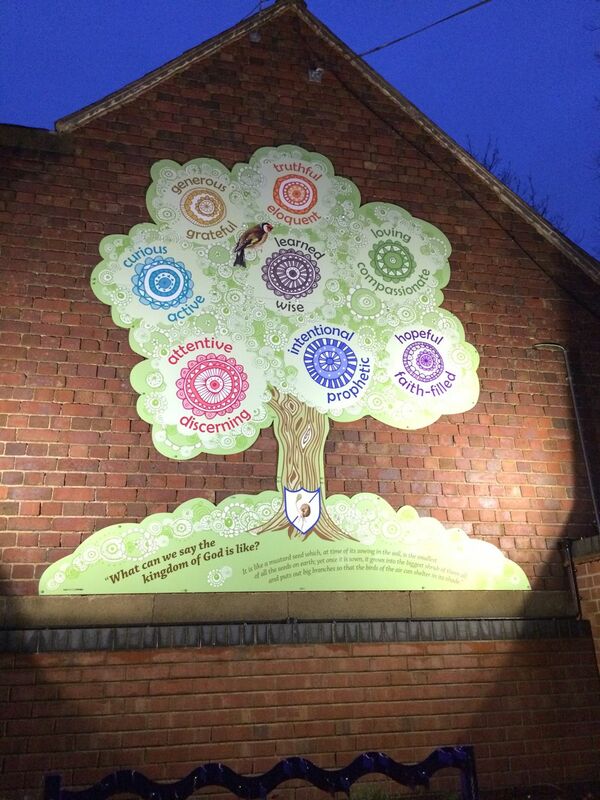 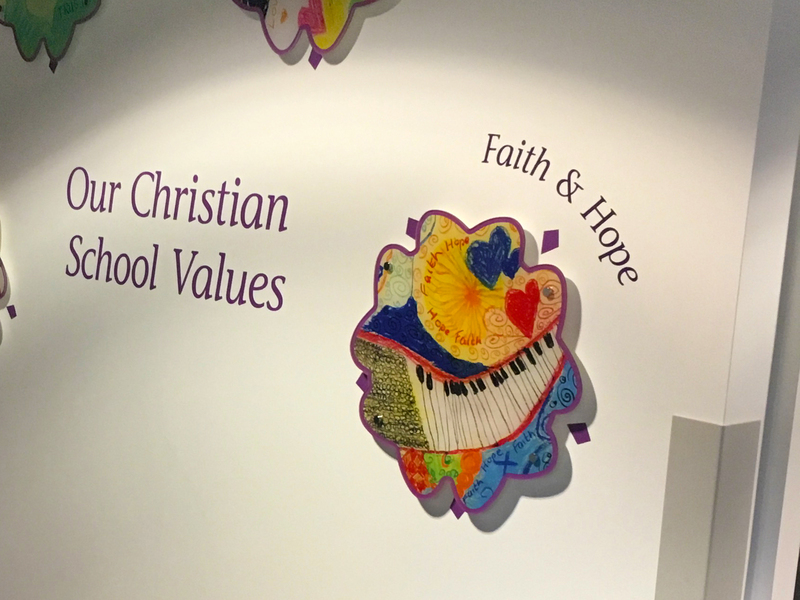 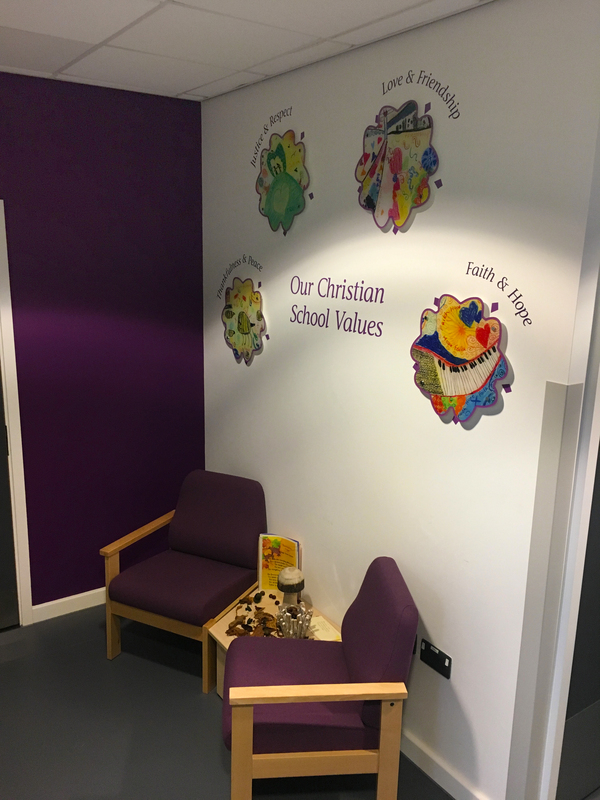 The design ideas featured here cover the various transformations of school branding and school spaces inspired by faith, culture and core values. 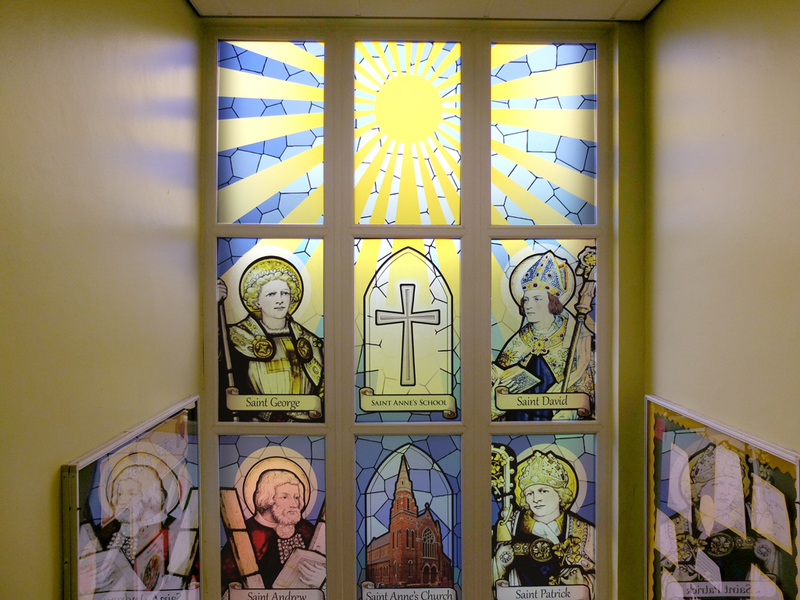 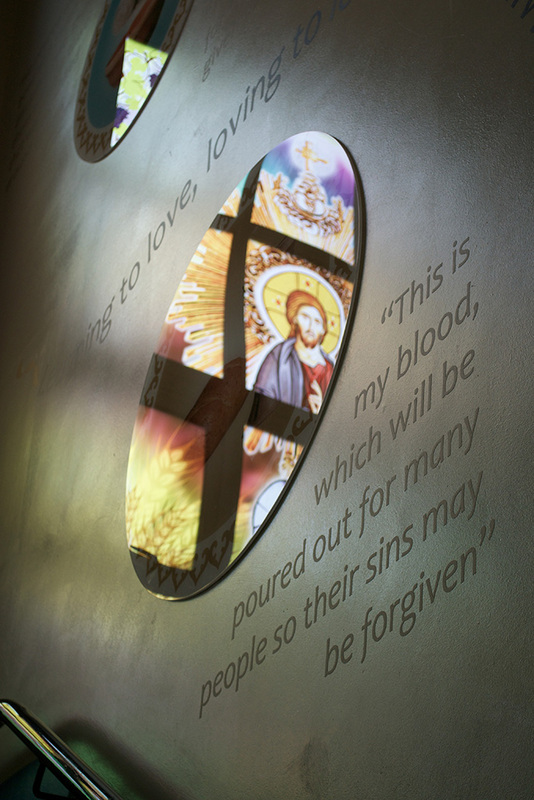 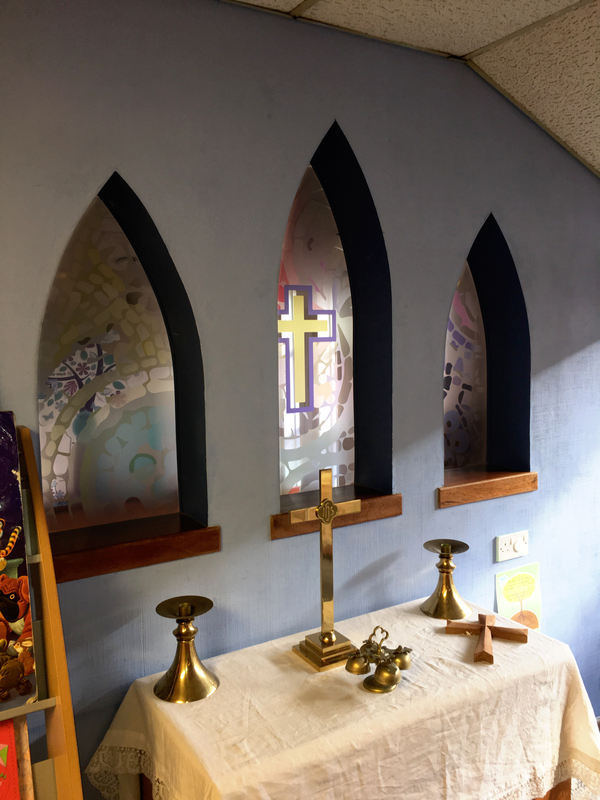 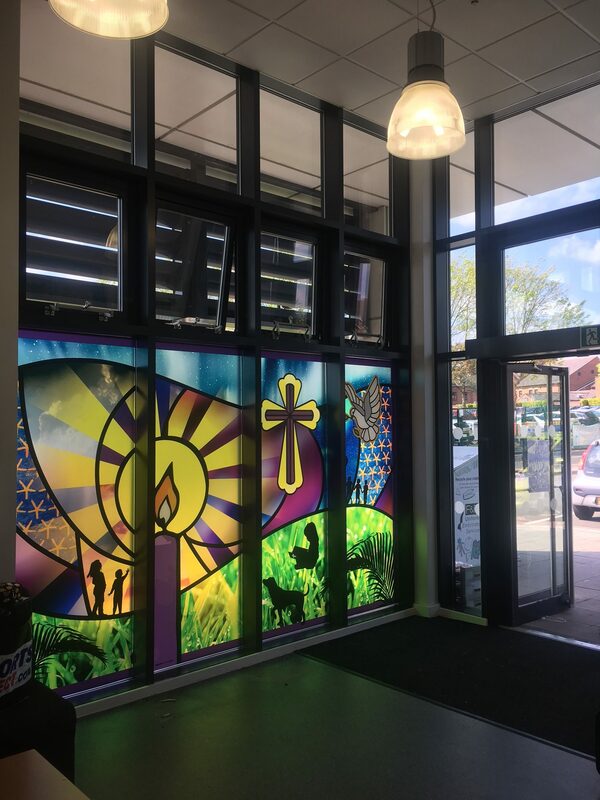 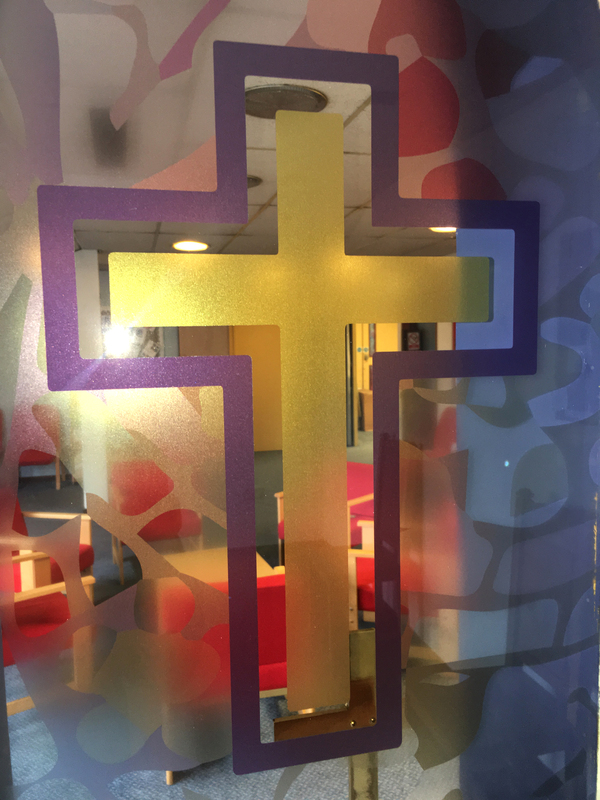 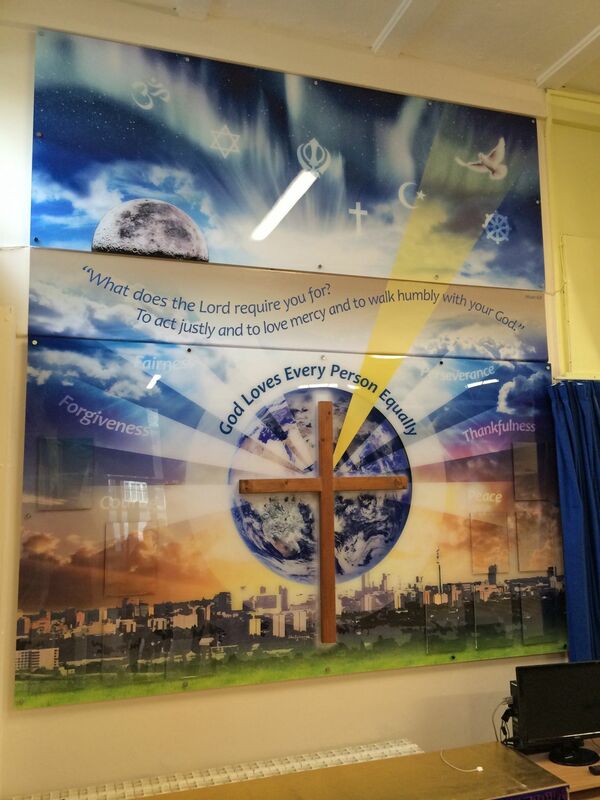 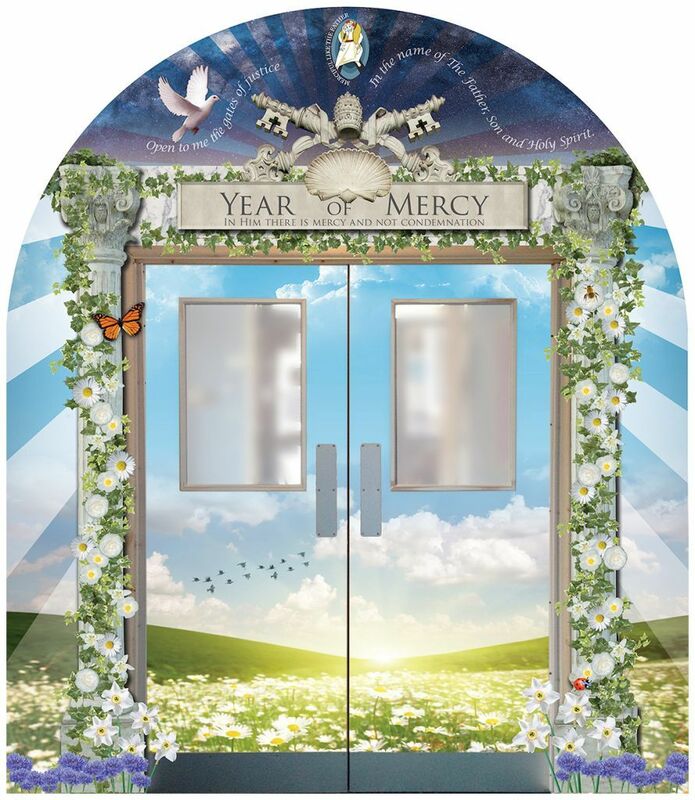 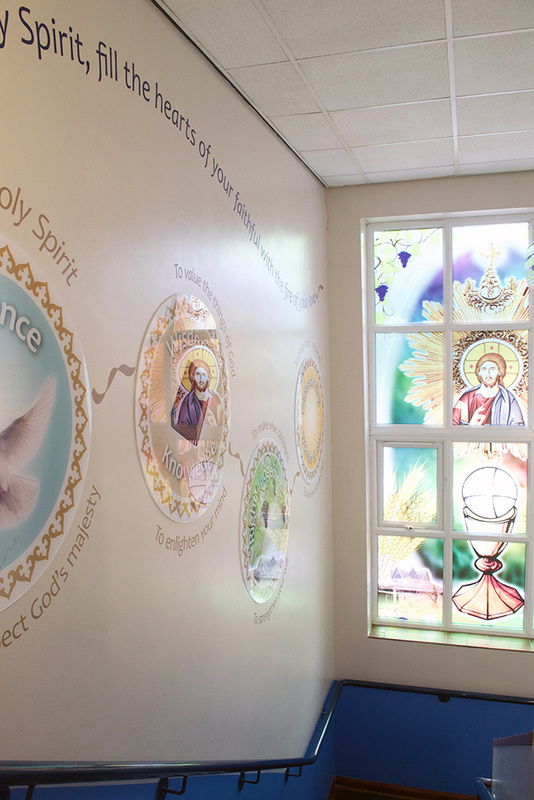 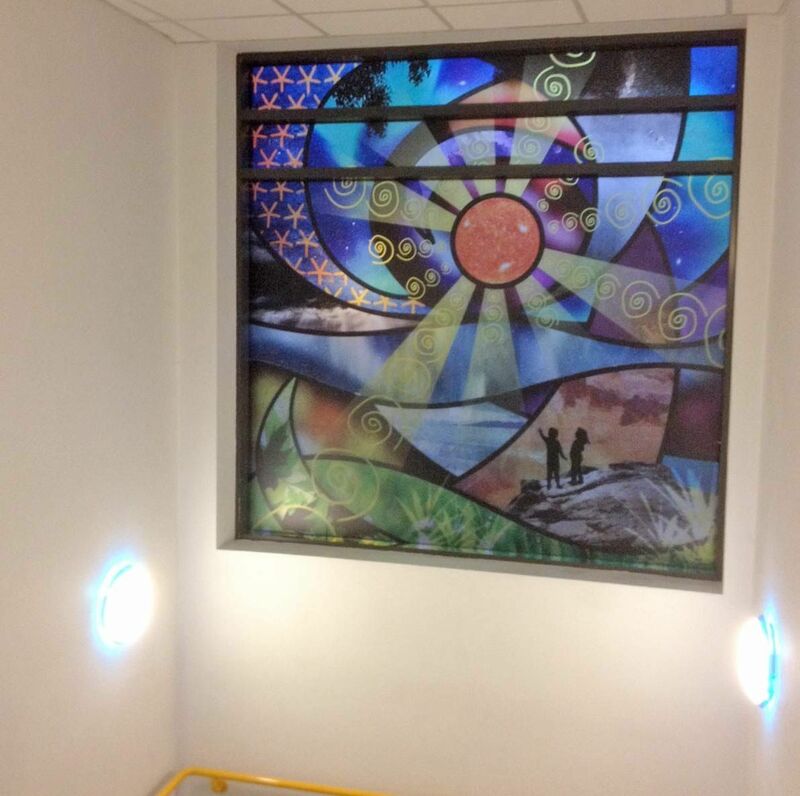 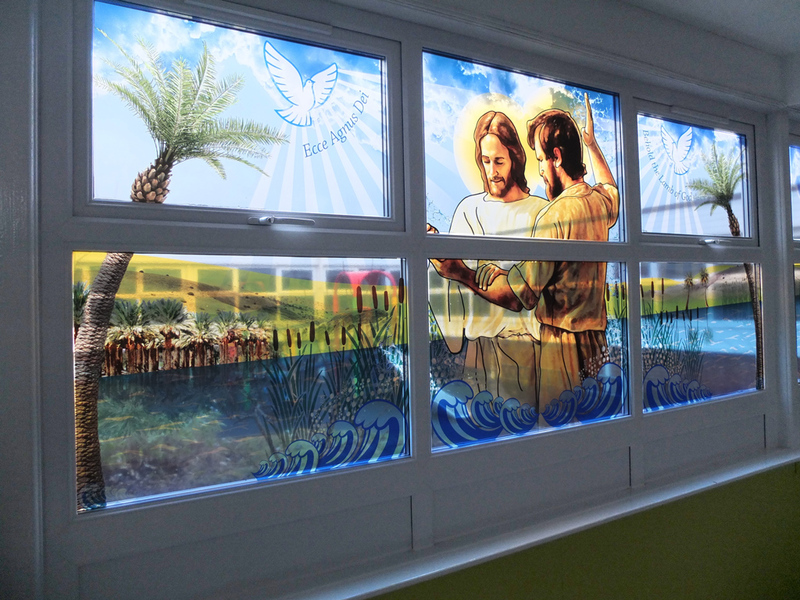 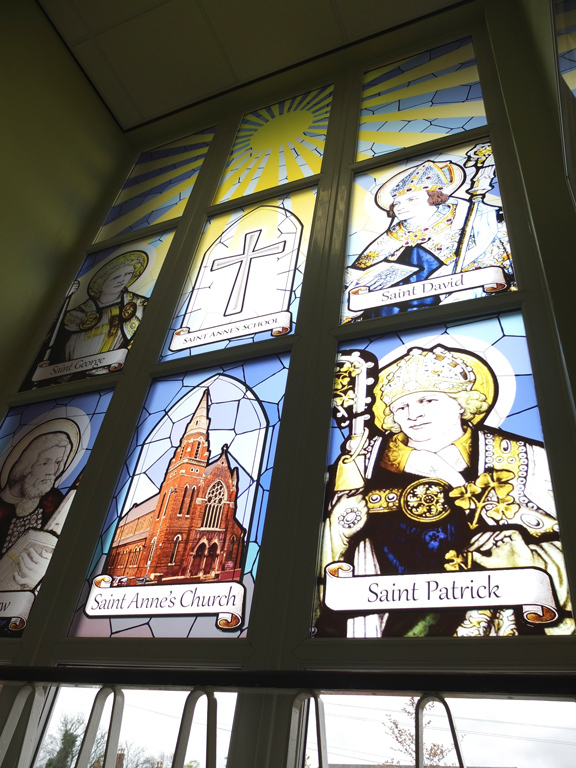 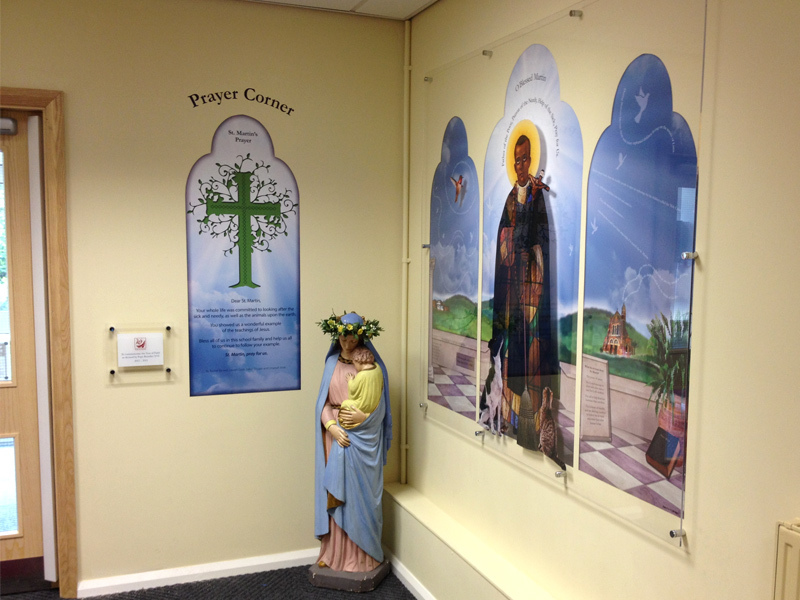 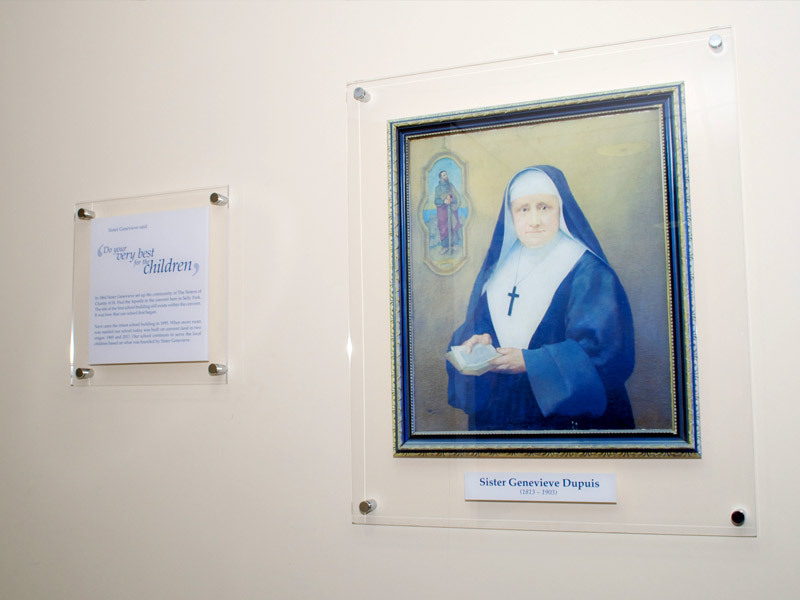 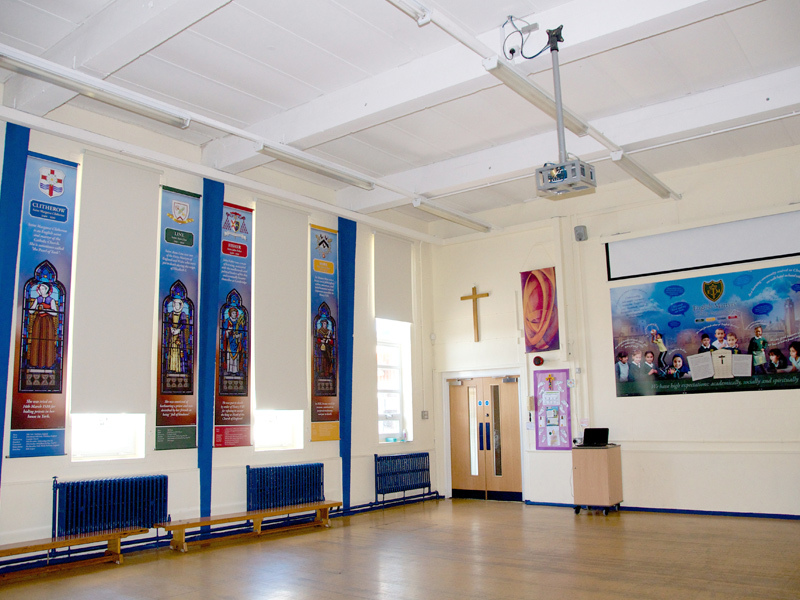 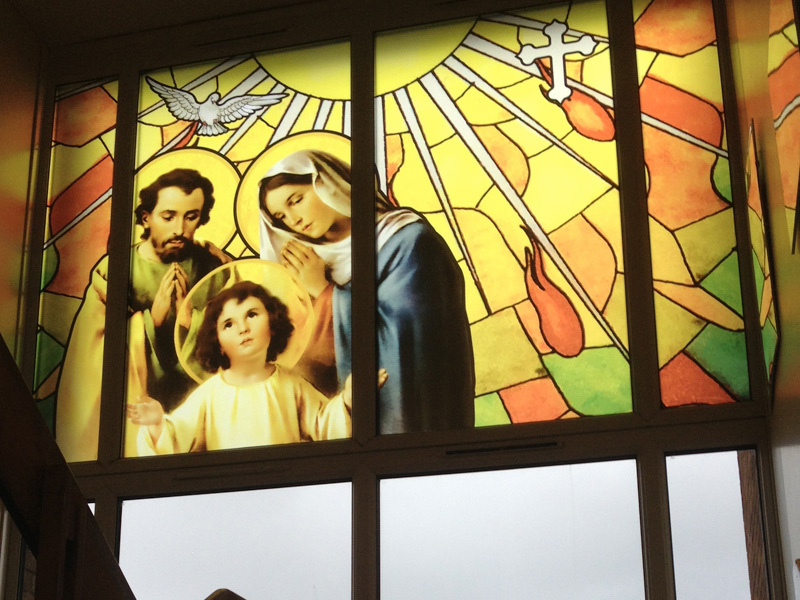 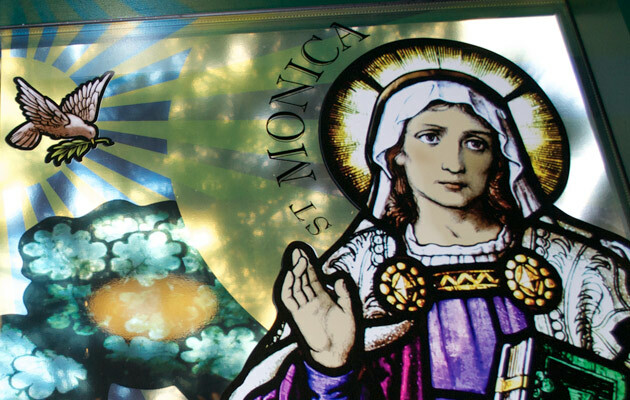 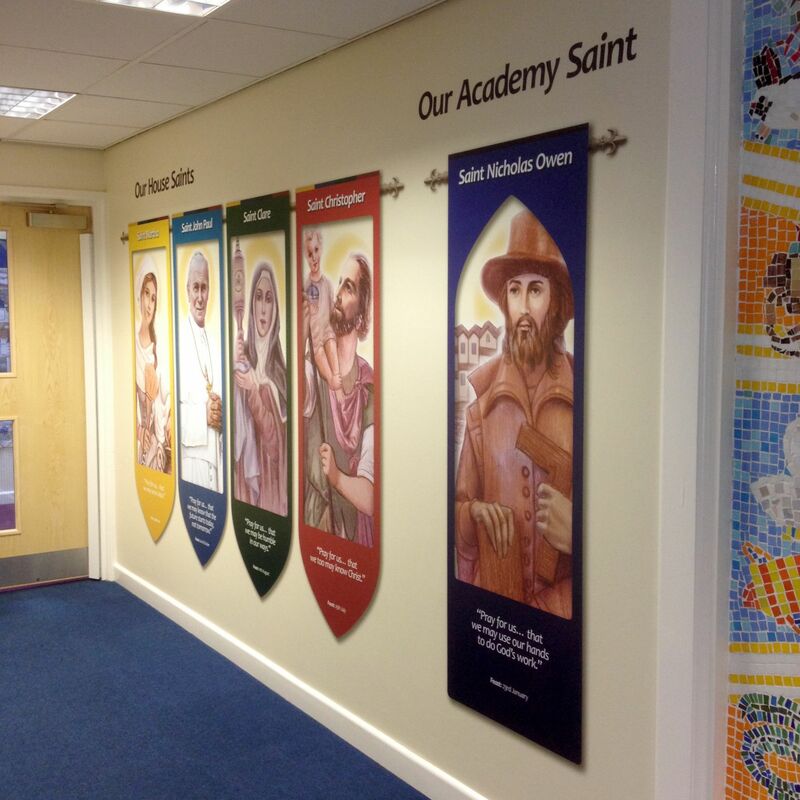 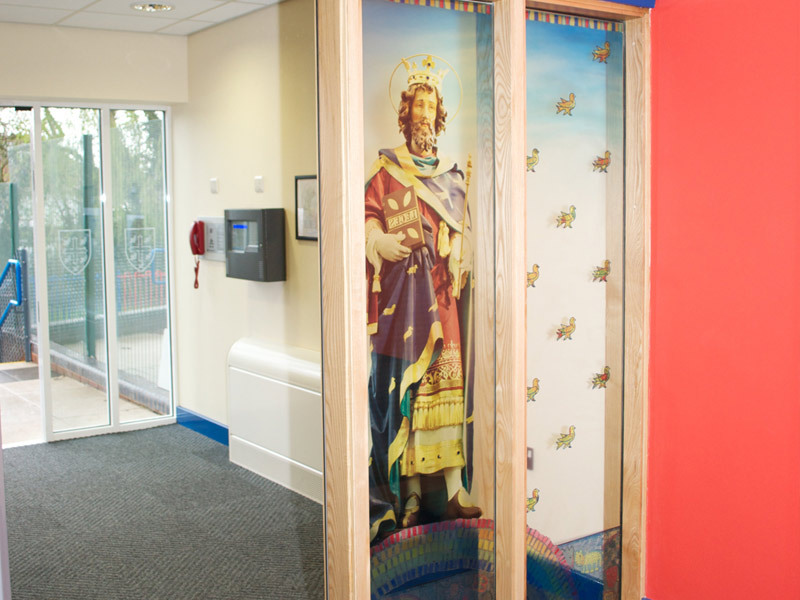 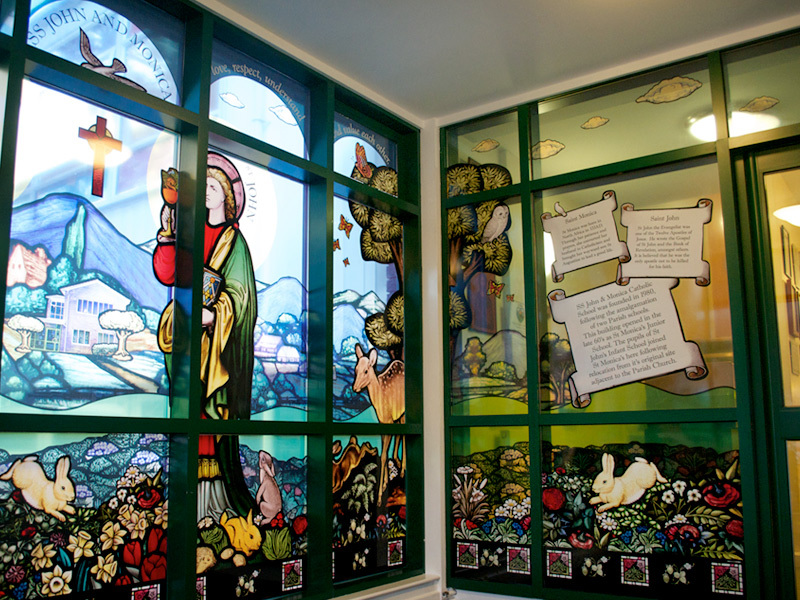 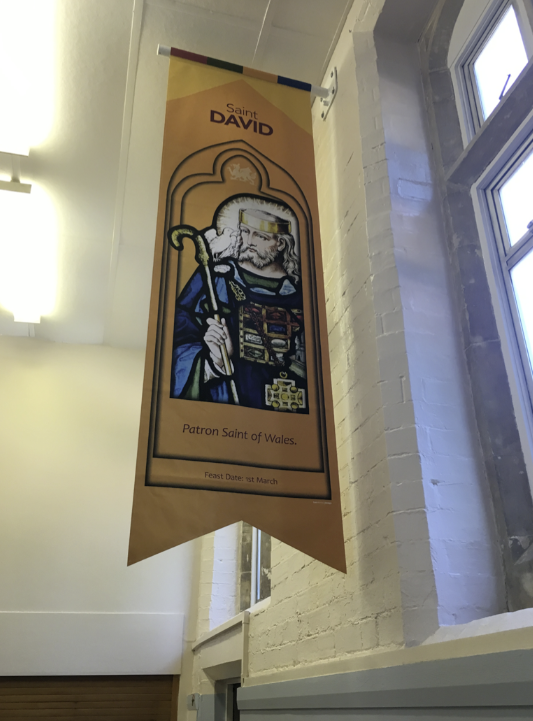 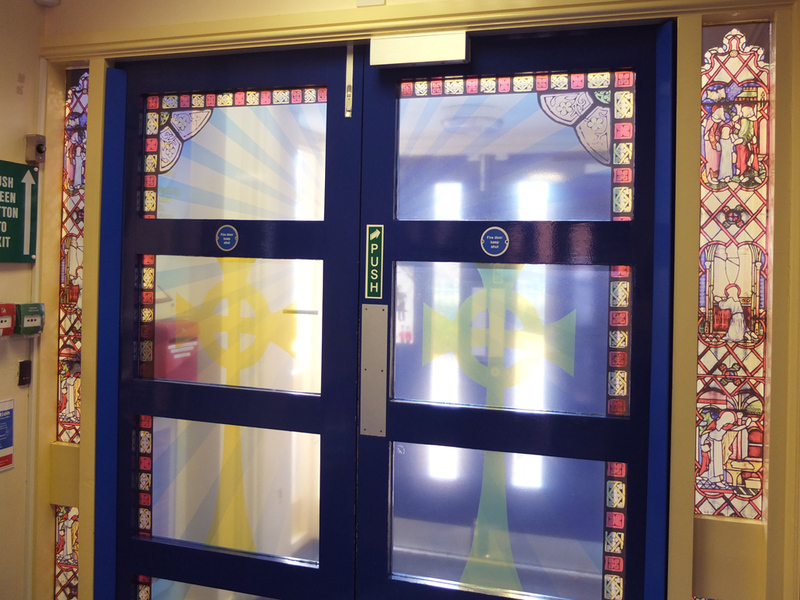 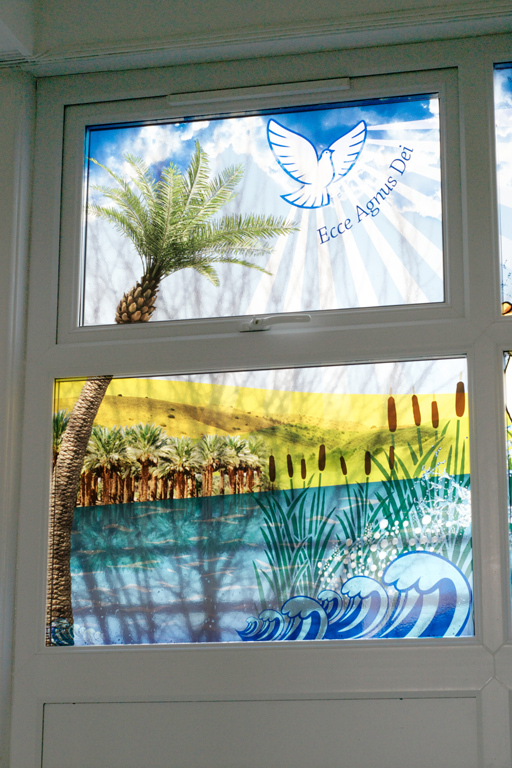 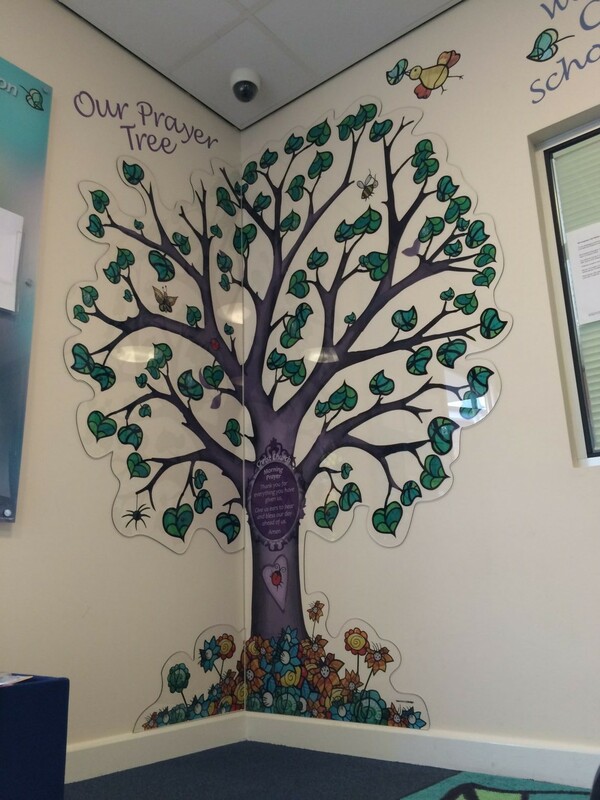 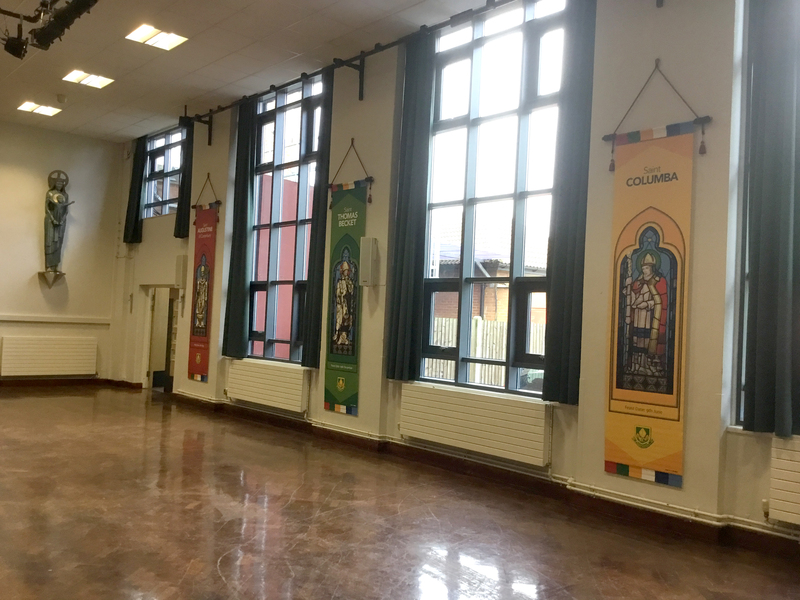 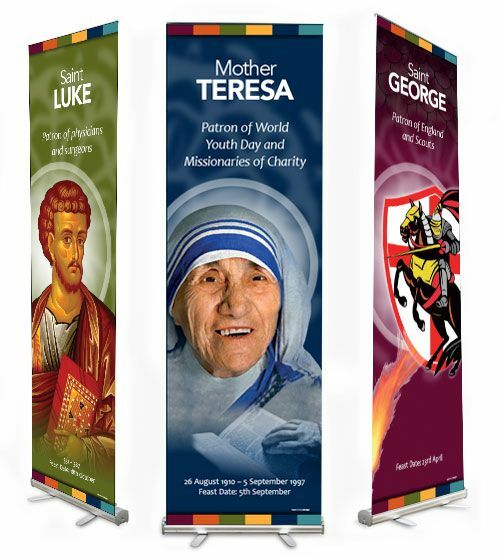 The work included takes the form of stained glass effects on windows and hangings or banners to create for example, dedicated Saint displays and Prayer Corners all designed in a meaningful, inspirational and informative way. 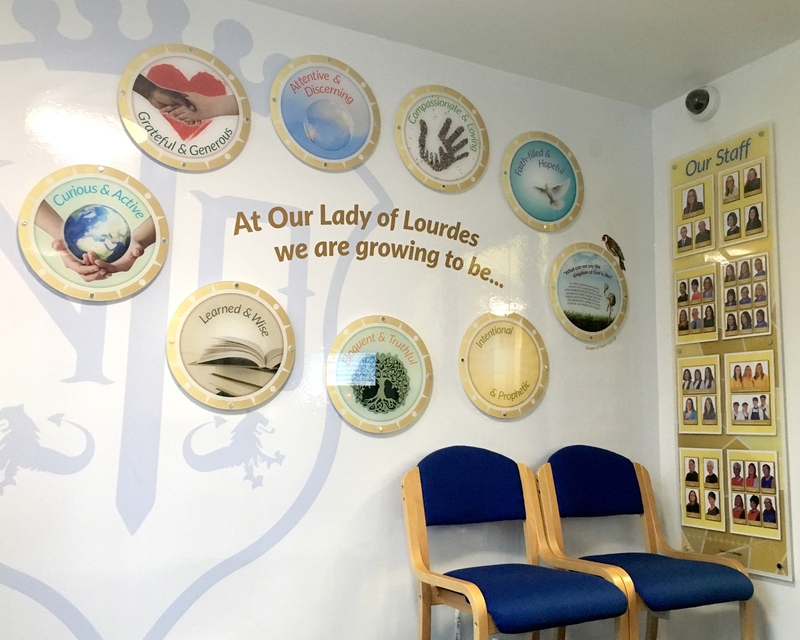 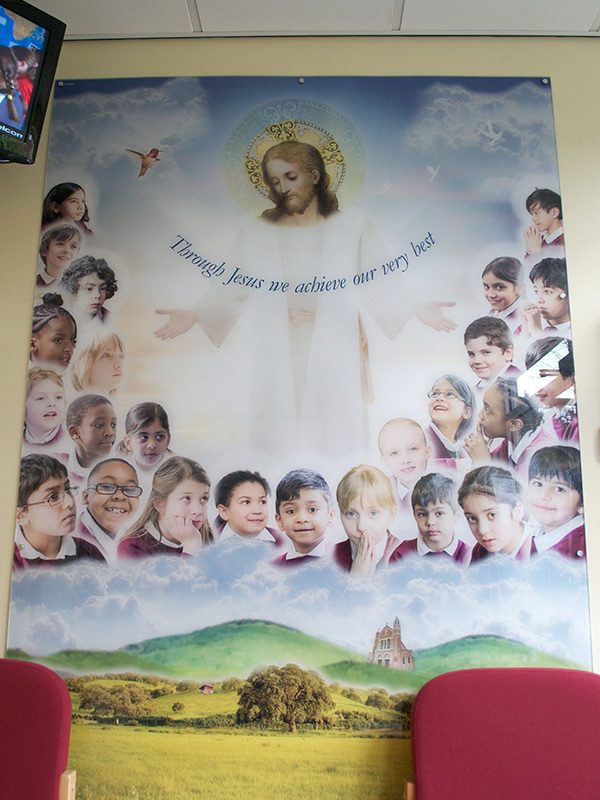 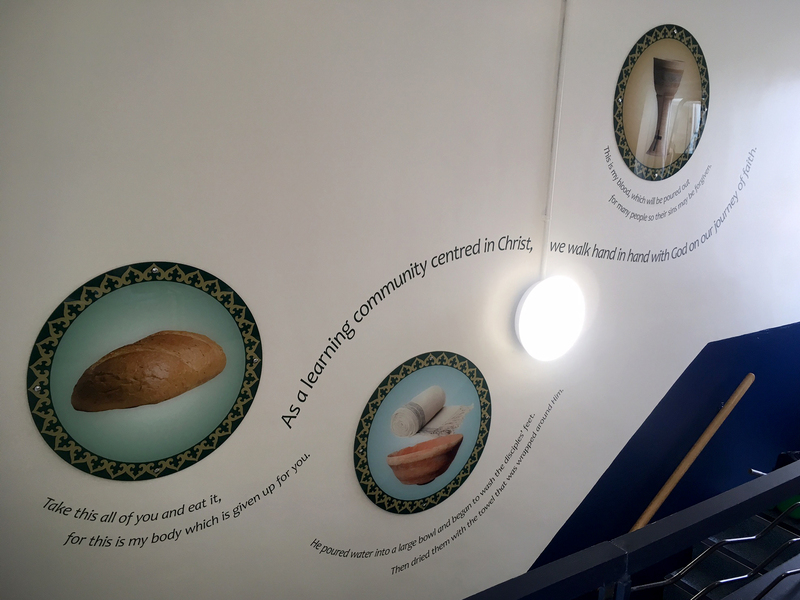 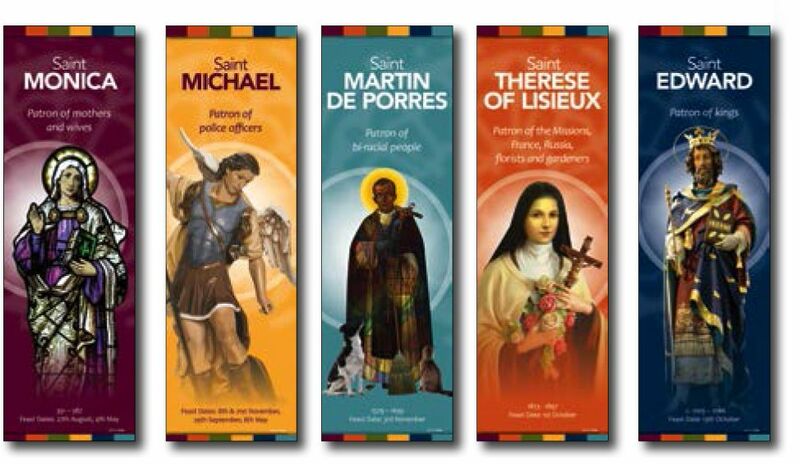 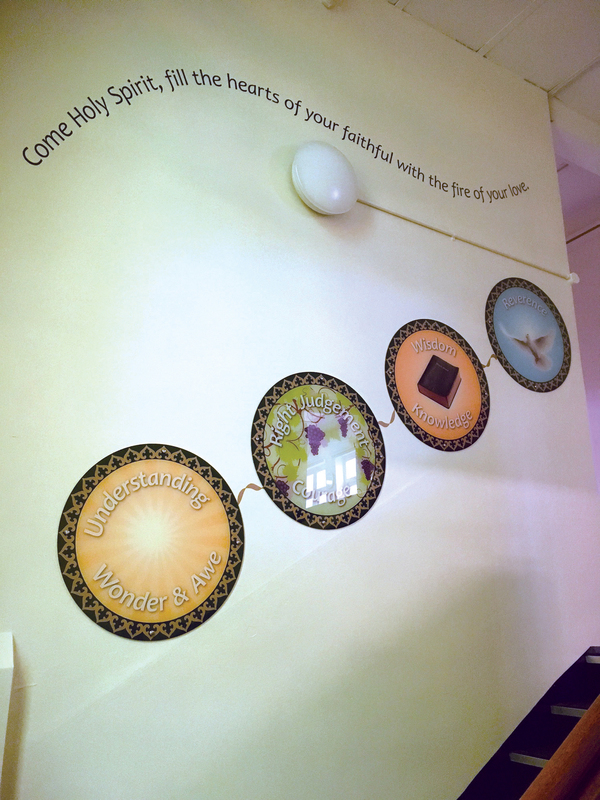 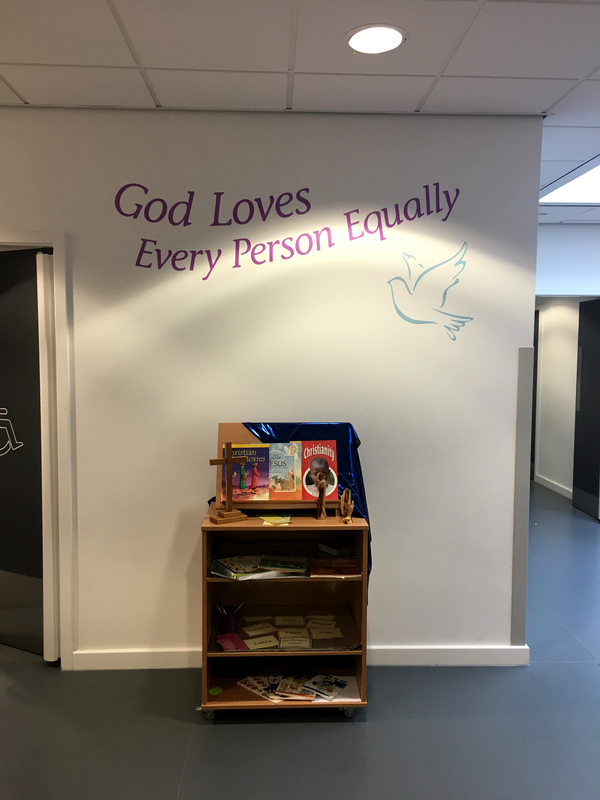 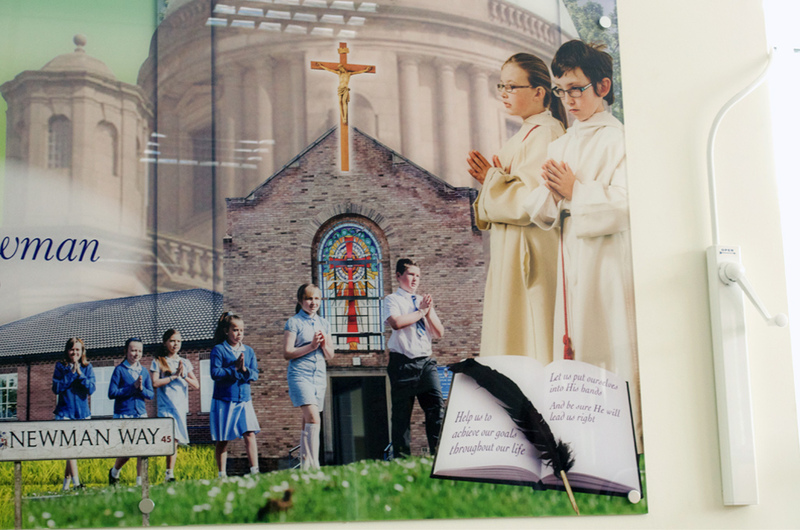 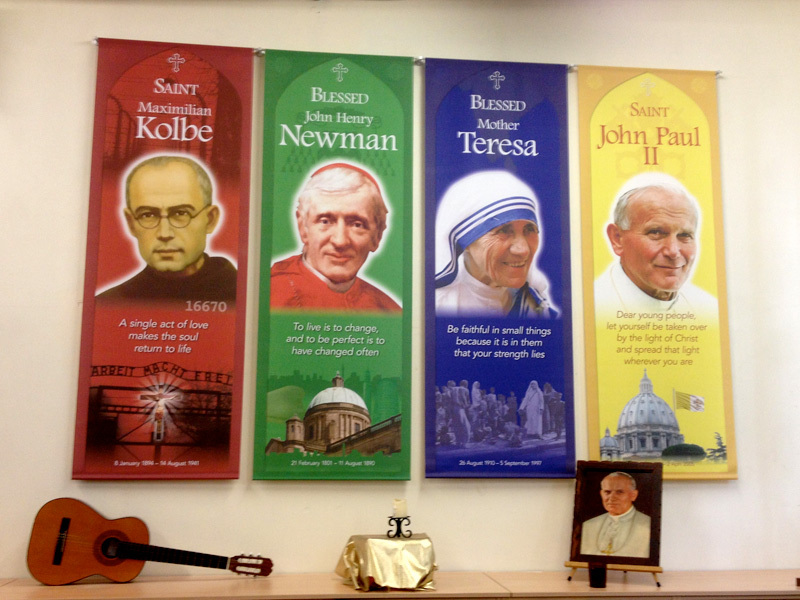 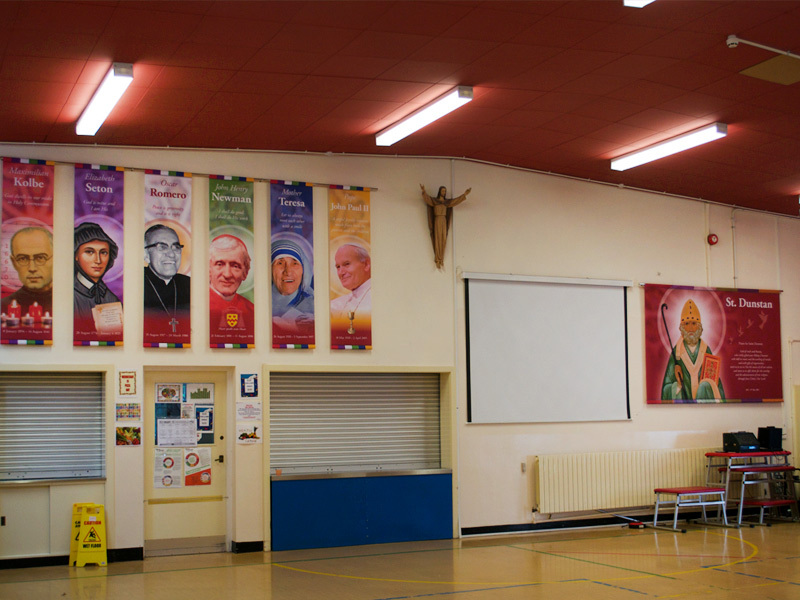 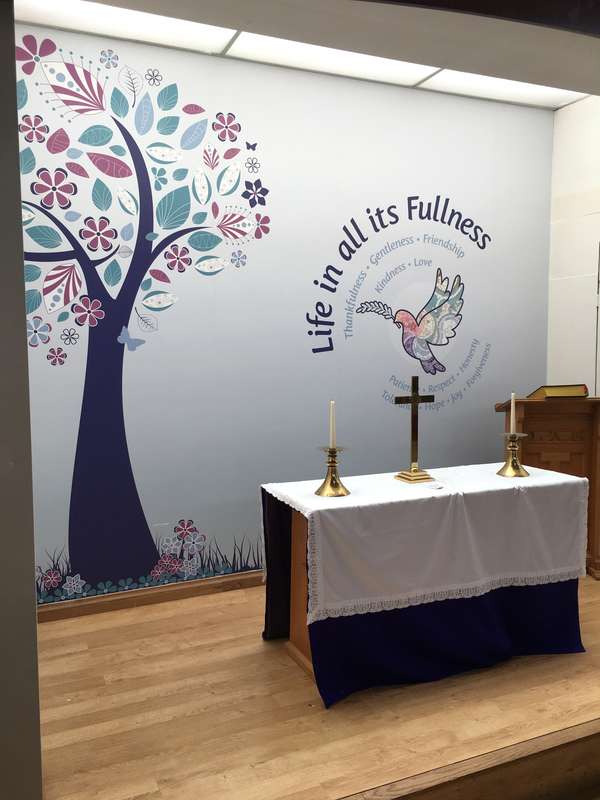 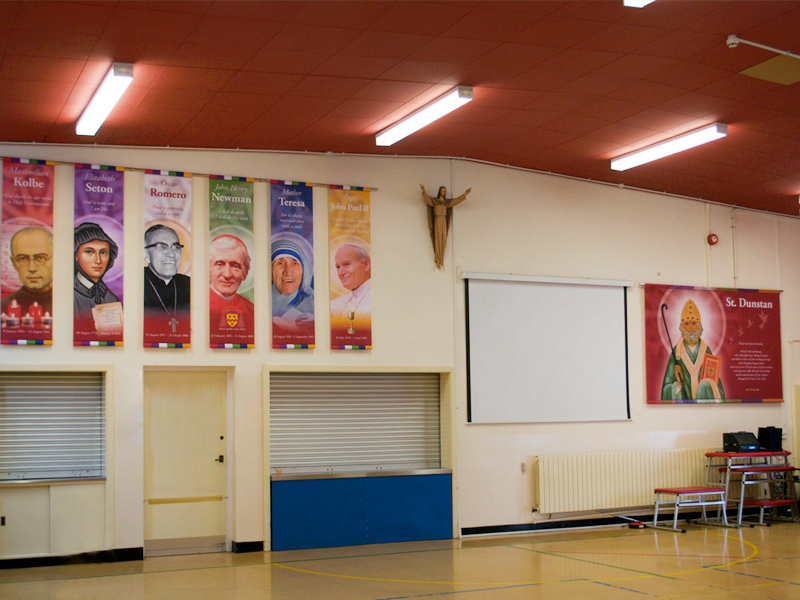 The content ranges from School House Saints, Holy Communion and Confirmation to representing worship in all its multicultural forms and the core values associated with all faiths. 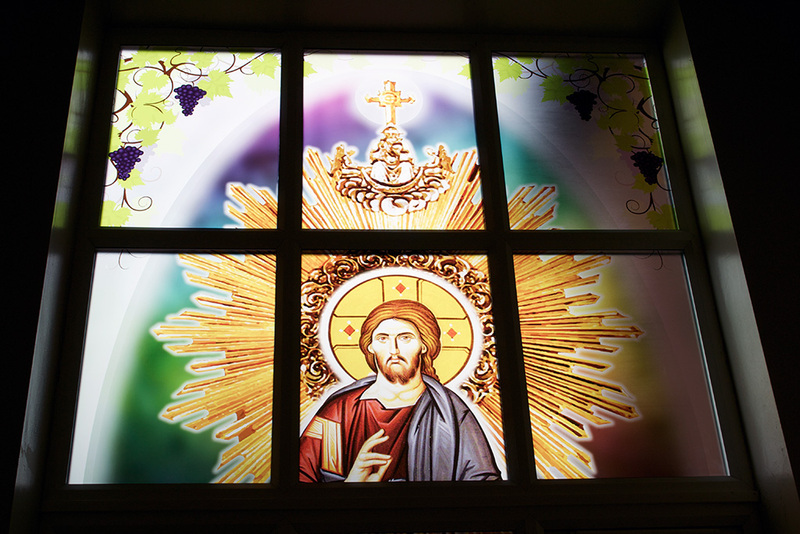 Various materials, printing techniques and state of the art technology have been used. 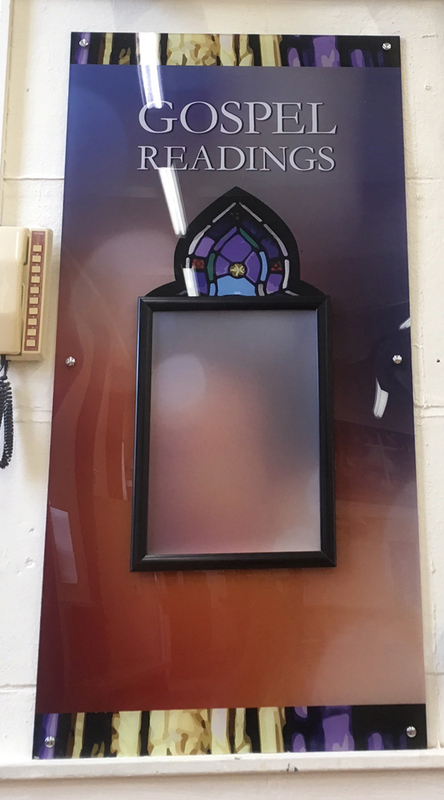 We often mix materials and techniques to create something original. 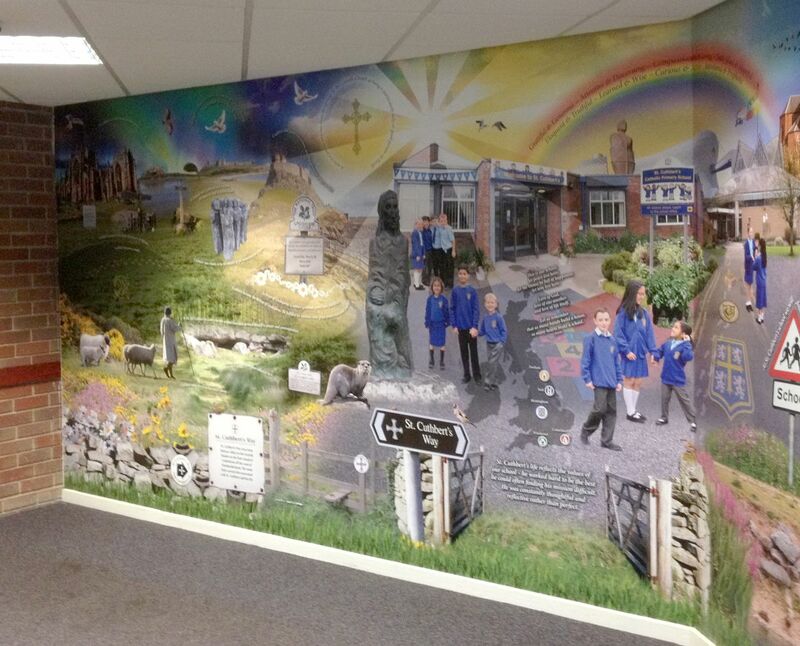 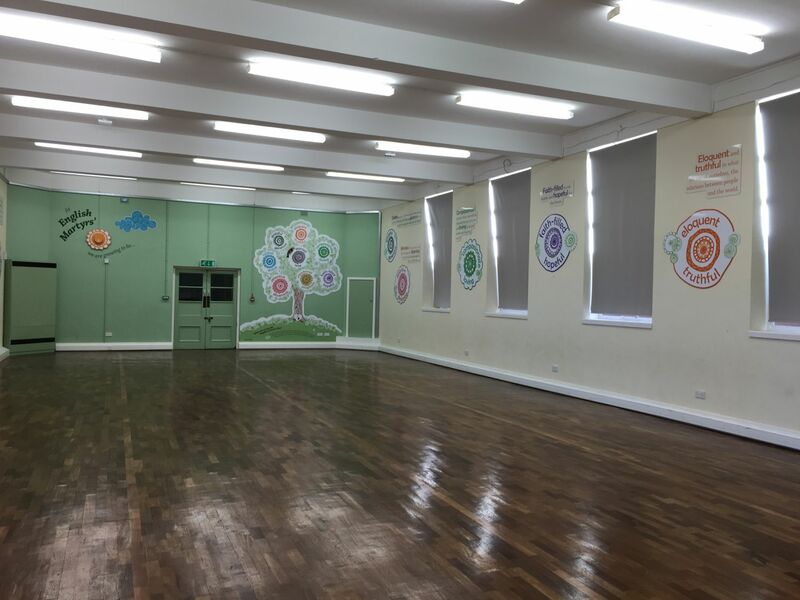 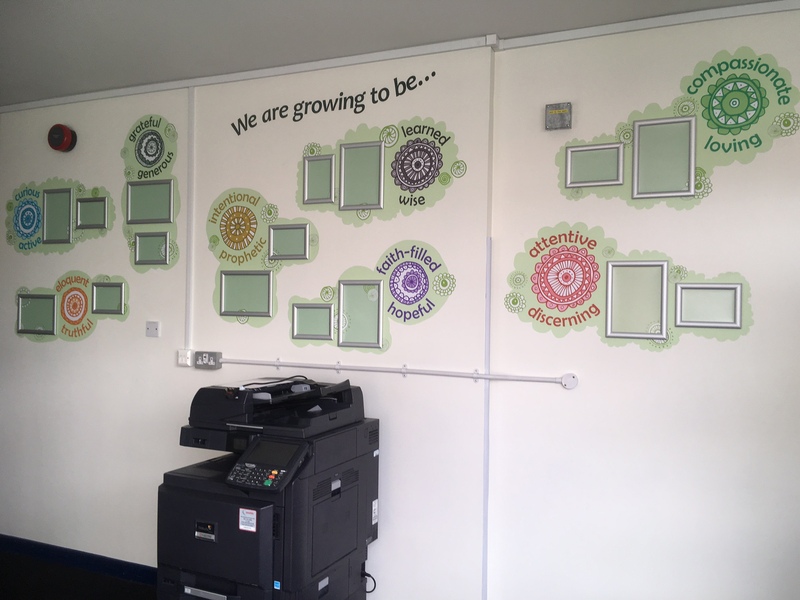 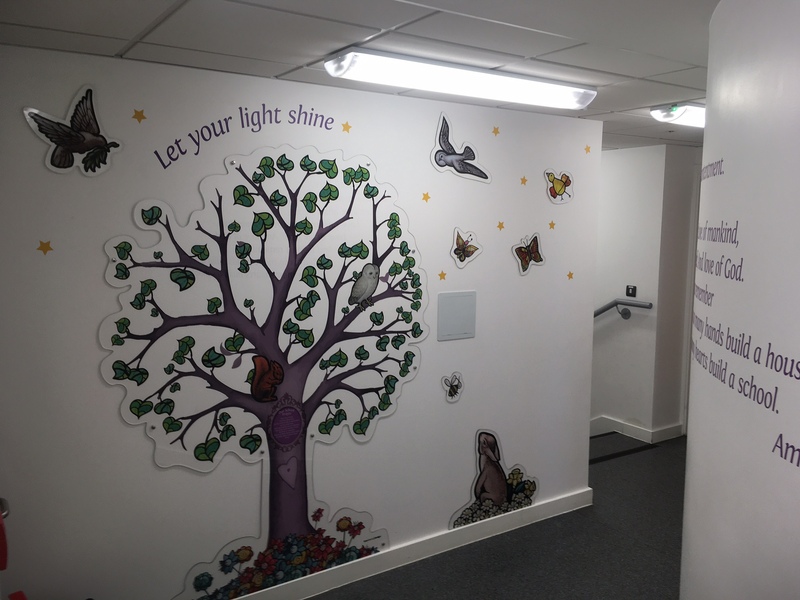 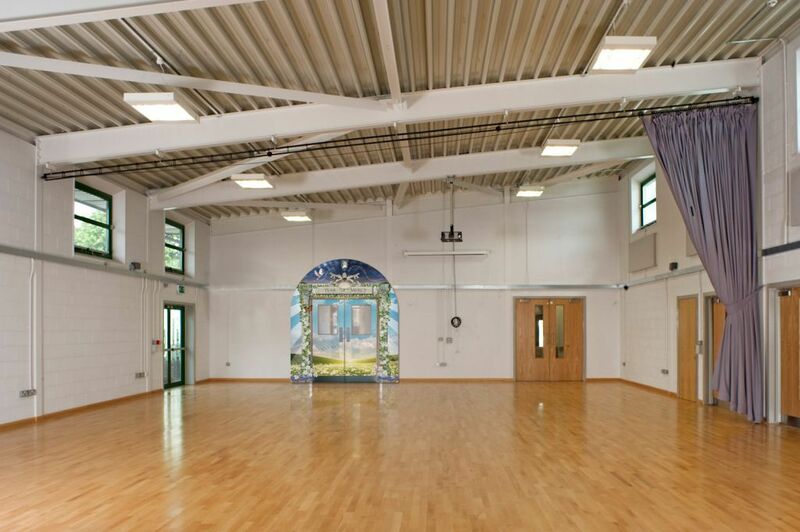 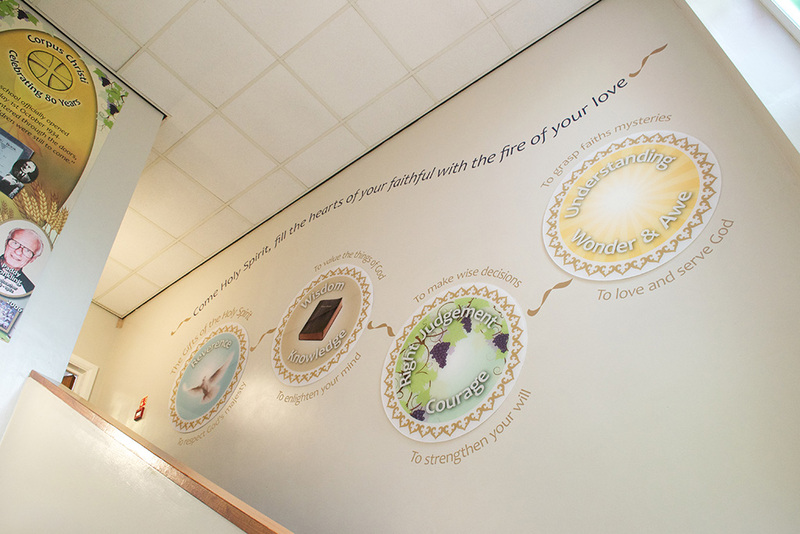 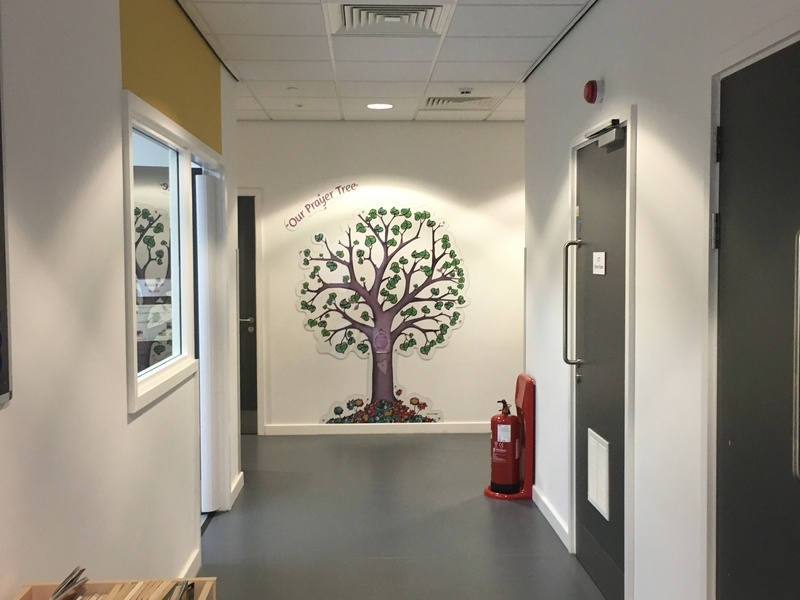 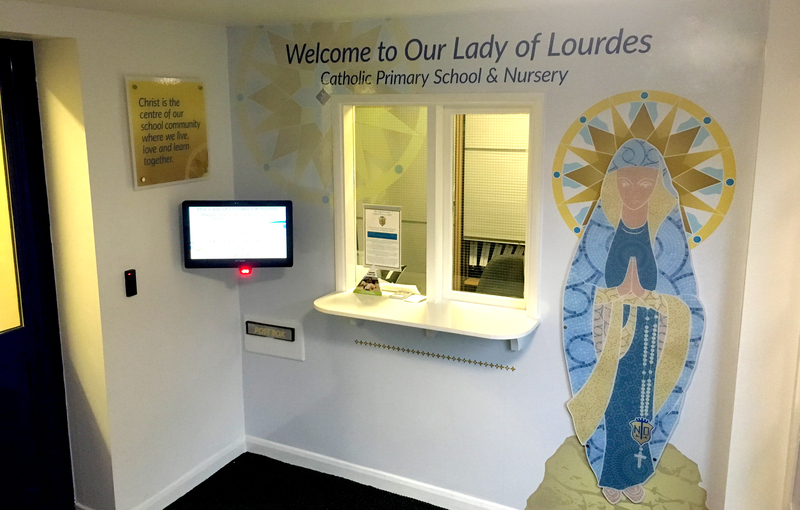 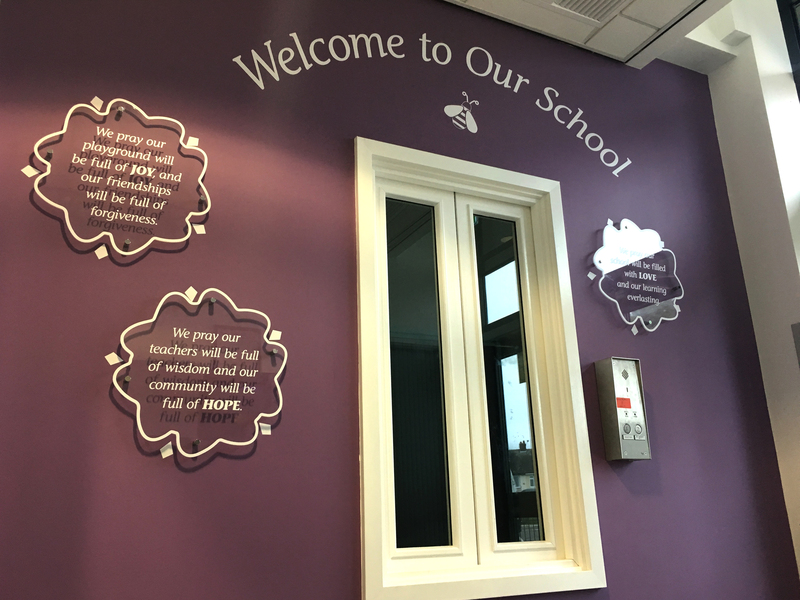 Make sure you scroll through our gallery to see all of the innovative design solutions we have applied to represent this important aspect of any school.